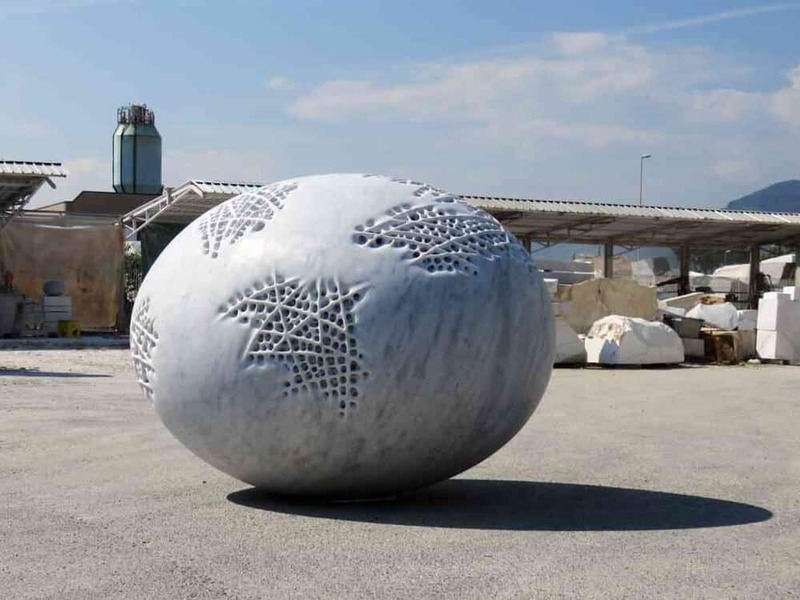 Swiss sculptor Sibylle Pasche transforms large segments of Italian marble to boulder-like sculptures which are coated in a porous net. 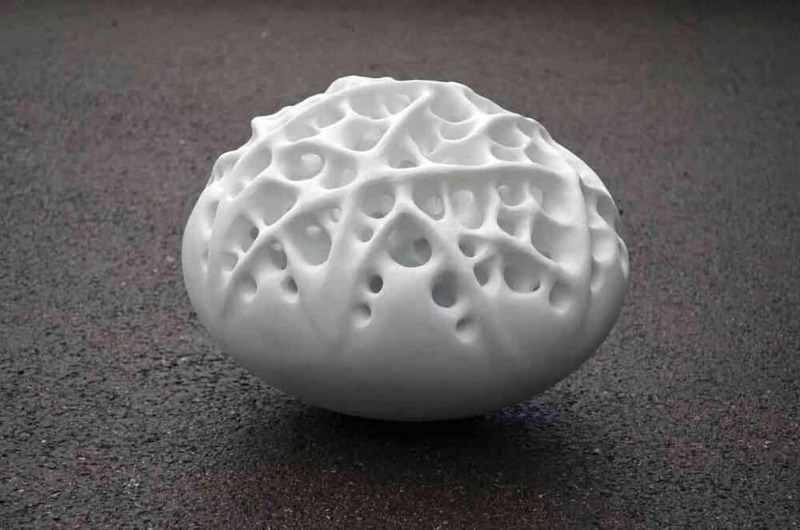 These holes offer a peek inside the works’ intricate insides while also evoking the structure of a capillary system or the dense composition of a sea sponge. These openings visually battle with the density and weight of her preferred material, which could often weigh up to several tons. Pasche was born in Switzerland and studied art at the Liceo Artistico in Zurich. She currently keeps two European spaces for her job, splitting time between her studios in Switzerland and Carrara, Italy. 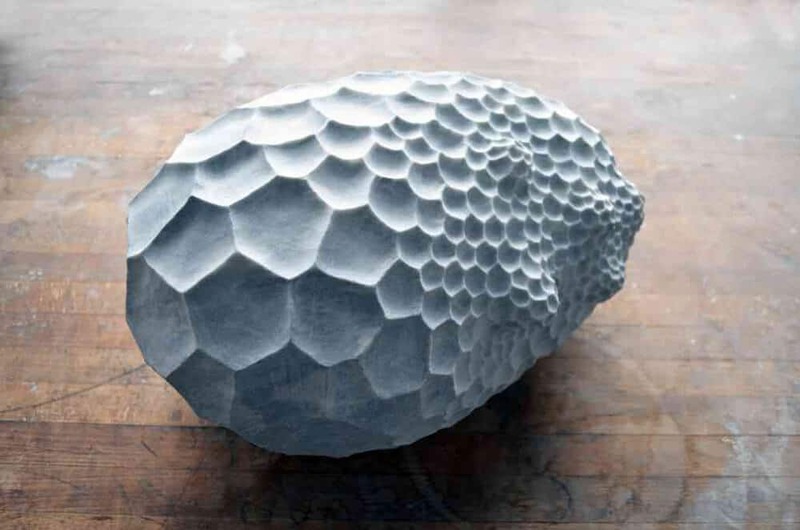 You can view more of her large, sculptural forms on her Facebook and website.